Remember the movie ‘Akeelah and the Bee‘? Akeelah is all grown up now and preparing to take her place on the Great White Way. Keke Palmer is a long way from where she began her career as a thespian and is watching her dreams come true in a whole new way, now. 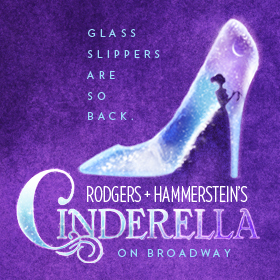 Palmer will be the title character in ‘Rodgers & Hammerstein’s Cinderella‘ bowing on September 9th at the Broadway Theatre. Not only is she the new lead for the show, but she takes precedence as the show’s first black Cinderella. Brandy held the same distinction when she wore the glass slippers in 1997’s TV Movie of the same name. Palmer is making her stage debut next month, but she has been prepped well in advance for the rigors and stresses that 8 shows a week will bring. She has led a varied career that encompasses film, music and TV. “Theater offers so much more than I haven’t been able to access doing film and TV and everything like that,” she said. “I’m very excited to learn all that it has to offer — that focus and that dedication to perform at a certain level every night.” My favorite film of hers is is ‘Madea’s Family Reunion‘ where she played the smart-mouthed Nikki. No matter how many times I’ve seen the movie, I still laugh uncontrollably when I see Tyler Perry as Madea turn around in the front seat of the car and beat the crap out of Nikki. I know there are people that really don’t like Perry’s Madea films and I can honestly say I don’t understand how that can even be possible. I can’t make it to New York to see Palmer’s take on the princess, but the touring cast is on a national tour. I’m eager to see this one since Carly Rae Jepsen is in the titular role with Fran Drescher, Victoria Clark and Joe Carroll. “She acts beautifully, she dances, she sings — she’s an amazing young woman,” Tony Award-winning producer Robyn Goodman said. “I think she’s going to be just so lovely.” “We’ve always just cast the best people for the parts. Sometimes they’re African-American, sometimes they’re Latino, sometimes Asian-American,” Goodman said. “It’s wonderful when it works out and we’ve finally found our Cinderella.” “I feel like the reason I’m able to do this is definitely because Brandy did it on TV,” Palmer said. “In me doing this, it shows everybody that everything is possible.”“Every girl’s dream is that story so to be able to play is going to be a dream come true for me. Not to mention that Stuart Weitzman made the glass slippers I’ll be wearing,” Palmer said, laughing. Palmer joins good company with breaking the color barrier for lead roles on stage. 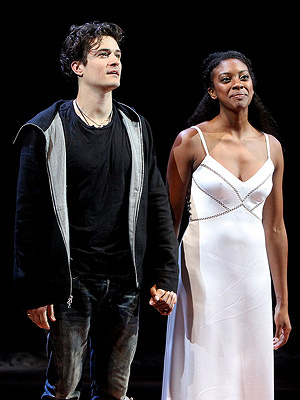 Norm Lewis was the first man of color to play the tortured Phantom in ‘Phantom of the Opera‘, Nikki M. James held the treasured role of Eponine in ‘Les Miserables‘, James Monroe Iglehart was the unhinged and frenetic Genie in ‘Aladdin‘ and Condola Rashad was the envied Juliet opposite Orlando Bloom’s Romeo. Not only was Rashad envied for landing a prime stage spot, but I envied her greatly for being lucky enough to have Orlando Bloom vow his undying love to her. Get Excited for ‘Grease: Live’ With A Peek At Characters!!! Taye Diggs Breaks Barrier And Will Take Over As Hedwig on Broadway!!! This entry was posted on Wednesday, August 6th, 2014 at 9:58 am	and is filed under Events, Music, News, Performance Art. You can follow any responses to this entry through the RSS 2.0 feed. You can skip to the end and leave a response. Pinging is currently not allowed. « MTV Gathering Major Players For ‘Scream’ Series!! !